HP developed Linux drivers HPLIP 3.19.3 was released with new printers and new Linux Distro’s support. The new release also adds support for Debian 9.7(64-bit), RHEL-7.6(64-bit), LinuxMint 19.1(64-bit). Also Gen2 Class driver now is supported, and basic Booklet printing support for a list of devices. Type user password (no asterisk feedback) when it prompts and hit Enter. 4. 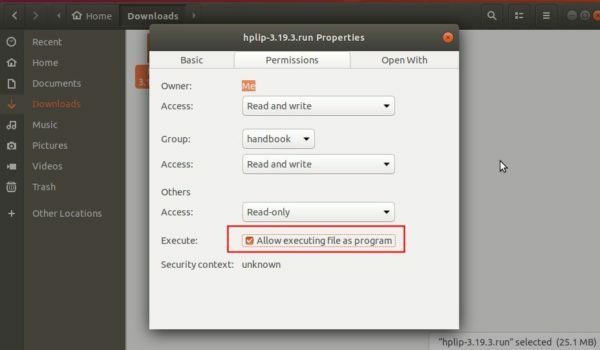 Then follow the terminal prompts, answer some questions to build and install HPLIP on your system. When everything is done, plug/re-plug your printers and enjoy! All went well at first but hung up when trying to uninstall existing version.